First Campus at Cardiff Metropolitan University recently hosted a Professional Masterclass as part of their Saturday Clubs Programme. 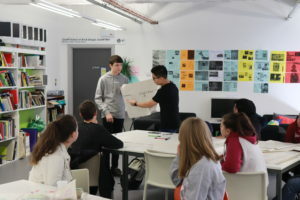 The Art & Design and Science Clubs came together to collaborate on a multidisciplinary session to promote the vital links between Art and Science. 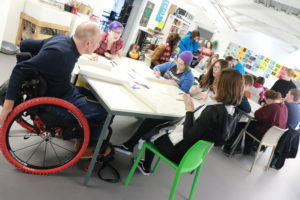 The masterclass was led by pioneering wheelchair designer David Constantine, co-founder of Bristol based charity Motivation. The Masterclass took place on Saturday 23rd February at the University’s Llandaff campus. Motivation provides wheelchairs and services for disabled people in developing countries; their projects support disabled people in seven focus countries across Africa and Asia. 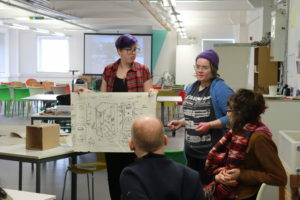 The National Saturday Clubs at Cardiff Metropolitan University are delivered in partnership with The Saturday Club Trust, a London based charity aiming to inspire future artists and scientists. It offers the opportunity for young people to attend a weekly Saturday Club in their local Higher Education institution.